For almost a year we have been given the promise of a new animated feature from the makers of Despicable Me. 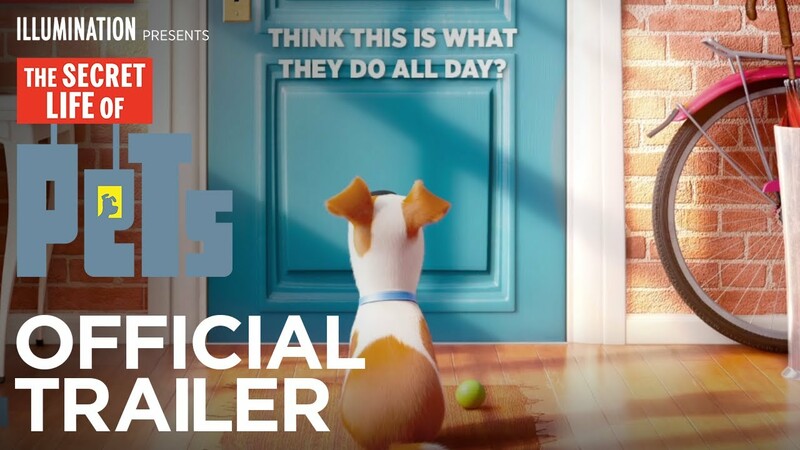 The teaser trailers, showing pets let alone while their owners are out had me in hysterics. In fact, these trailers were often funnier than the main feature they were being shown in. So coming into The Secret Life Of Pets had very high expectations. As I have always said, though. Never go into a film with such expectations are you will always be disappointed. Guess what? It’s a huge disappointment. Max, a small dog, has been leading a life of luxury with his owner until, one day, she brings home Duke, a large stray. The pair just don’t see eye to eye and in a moment of one-upmanship, Max and Duke find themselves being carried away to the animal pen. Saved by a rabbit called Snowball, who leads an underground realm of disgruntled animals abandoned by their owners, Max and Duke soon upset the cart and have to try and return home, while Max’s friends search the city to find them. Starting off with plenty of energy and originality, the film shows the domesticated world in a new and hilarious light. Once the owners have left, the animals play: budgies pretend to be aircraft with computer games, cats fighting off the temptation of the fridge and a poodle with a preference to heavy metal music. These first moments are genius, and you hope the film will continue down that very same road. Unfortunately, once Max and Duke, the heroes of the piece, leave their apartment, it soon turns into a predictable animal lost in the city movie with very little originality to it. The mix of characters they meet along the way, from the hard-nosed cute bunny to a pig used as a tattoo dummy, are funny. It’s just that the joke runs thin. This seems to be the problem throughout. A joke is set up and then played out for the rest of the movie, so what was once funny, turns out to be mildly annoying. Along the way, there are clever moments but the rest feels like old ground being revisited. The voices are perfectly fitting. Louis C.K. makes Max a likeable character with a slightly hard edge, while Kevin Hart screams and hollers as Snowball. Yet even with such comic talent on board (Dana Carvey, Steve Coogan, Albert Brooks) they aren’t given enough to really bring the comedy out to the fullest. I know what you are thinking. This is a children’s movie. Yes, and I am sure that kids will enjoy it but for the adults, there’s very little for them to really enjoy. It feels creaky and over-familiar and we kind of need something more from the same team who gave us the Minions. 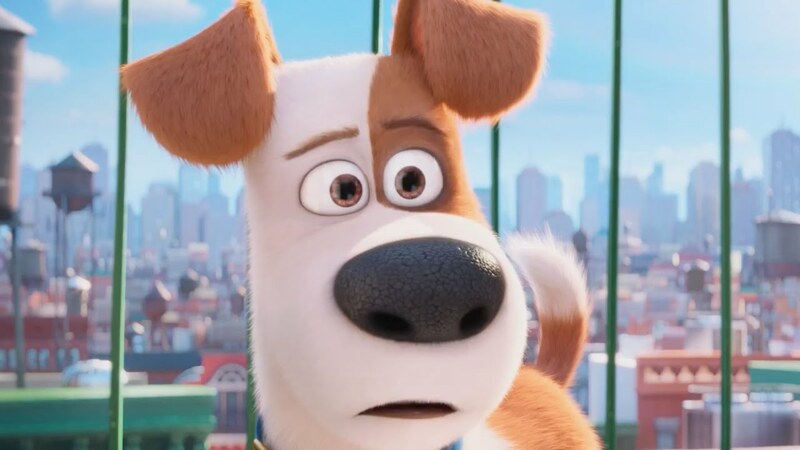 The Secret Life Of Pets is colourful and bright, yet it lacks the punch it promised. It’s 30 minutes of good material in a 90-minute movie. Once we hit the big city, it drags and becomes tiresome. Such a shame because it tempted us with so much but delivered so little.